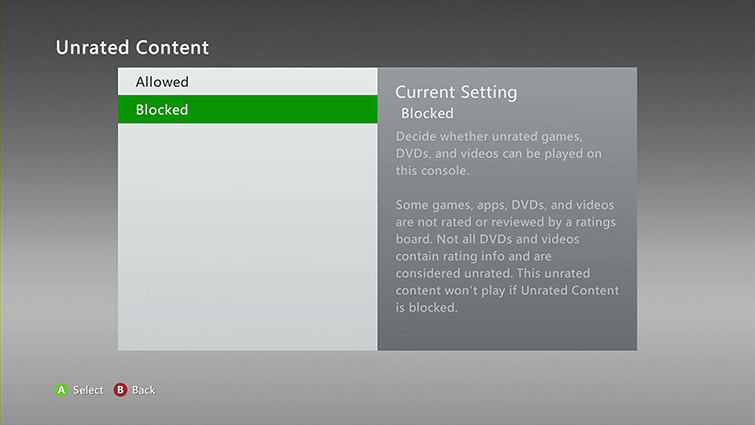 You can disable access to unrated content in Internet Explorer on your Xbox 360 console. 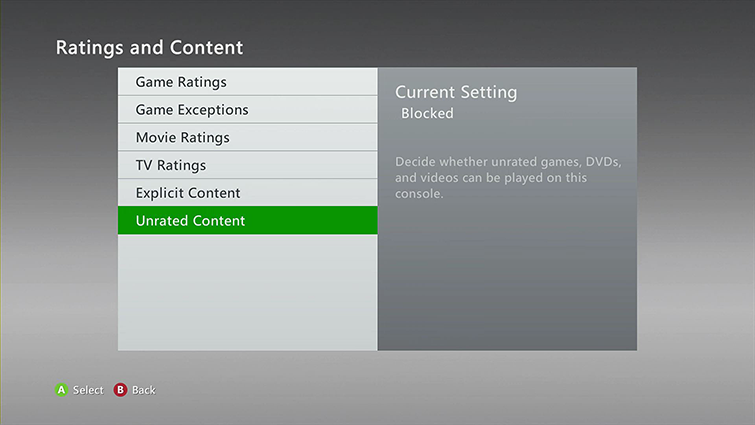 This helps to protect your children from content that you don’t want them to see. 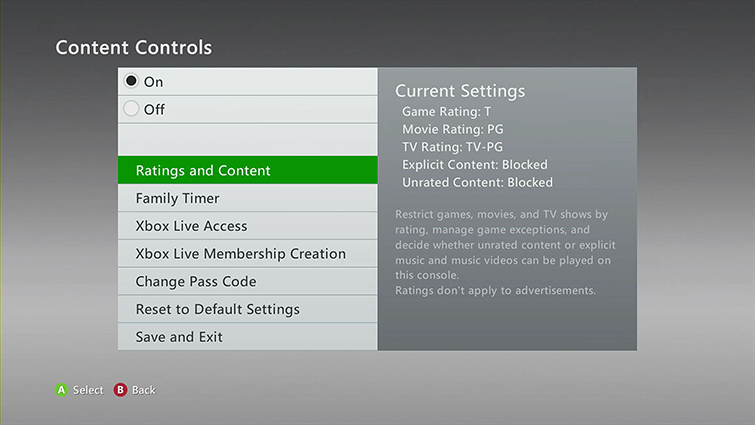 Read on to learn how to disable access to all unrated content for anyone using your console. 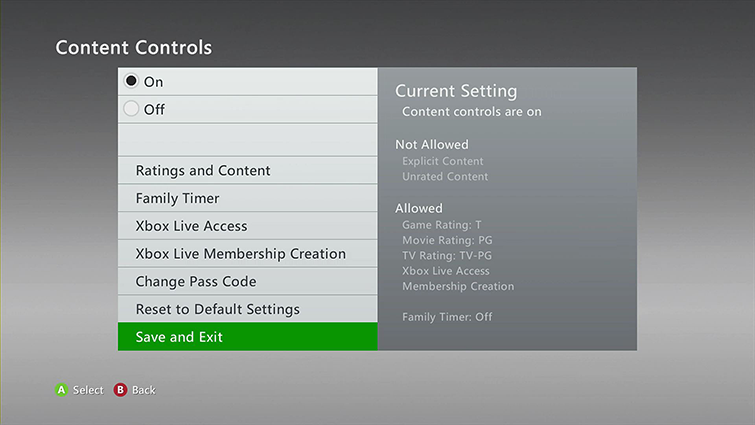 Go to Settings and select Family. 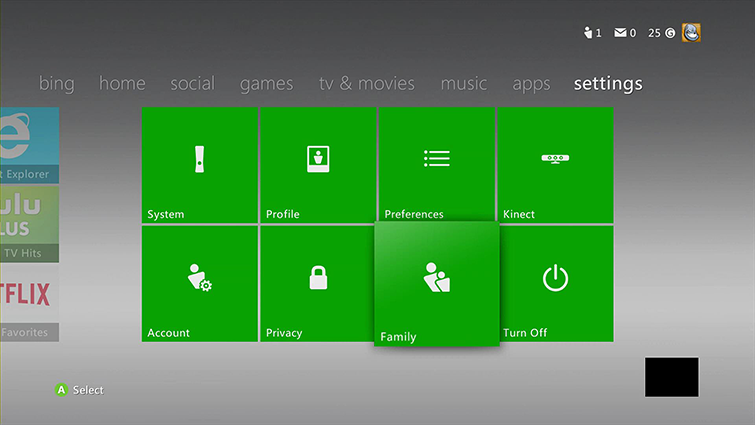 The Content Controls screen is displayed. 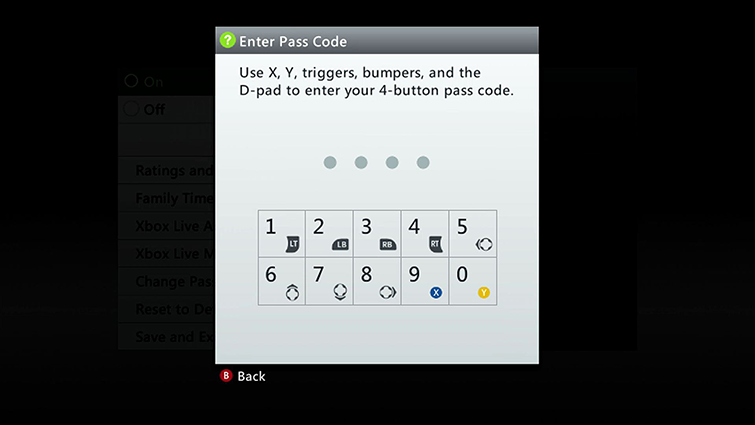 Set a Passcode you will remember, along with a Pass Code Reset question and answer. Press B to go back, then select Save and Exit. Would you like to contact Support regarding the "Restrict websites in Internet Explorer on Xbox 360" issue you were reading about or a different issue?